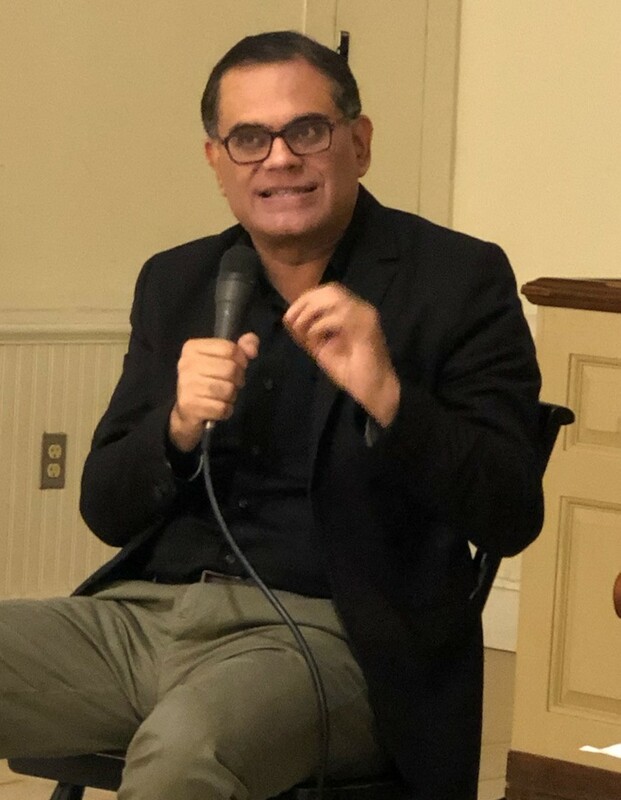 November 25, 2018: Free Press, Foreign Journalists: Conversation about free speech outside the U.S.
For many journalists in Pakistan, Turkey and other nations with authoritarian governments often headed by a strongman, the press isn’t free, the Society of Professional Journalists DC Pro Chapter heard Monday evening, Dec. 3, 2018. Journalists who fled those two countries also warned about spreading anti-media sentiment, including under U.S. President Donald Trump. 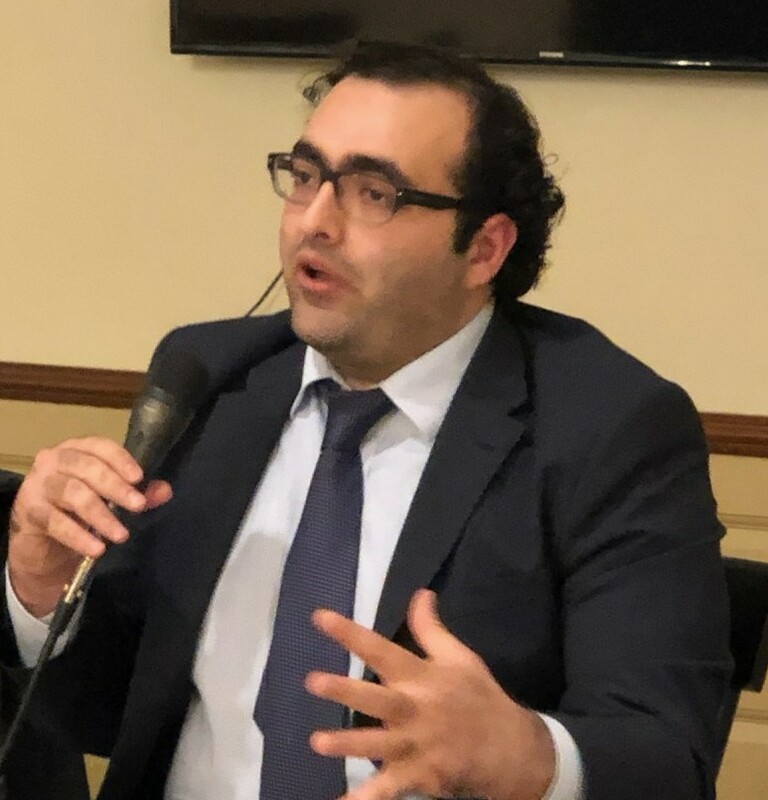 Bottom line is that authoritarian government or not, journalists in many countries aren’t widely liked, nor are trusted by most people, the panel explained. In Pakistan and Turkey, it’s dangerous for journalists to do their job — unless they toe the administration’s line. So said Raza Ahmad Rumi, director of Park Center for Independent Media and an editor of the Daily Times English-language Pakistani newspaper; and Turkey-exile Mahir Zeynalov, chief editor of The Globe Post. Zeynalov smuggled his family out of his home country, while Rumi joined sisters in the U.S. after he was targeted in a 2014 deadly attack. “It’s dangerous to be doing … honest journalism” in Turkey, Zeynalov said. “There are journalists and there are fake journalists.” He compared writers who let themselves be subjected to government censorship to those who report the truth regardless of who is favored. Reporters worldwide don’t just face physical attacks, either, but intimidation by anti-press rhetoric and other actions, including by White House officials under Trump, the audience of about 20 heard. “We are trapped in the age of neofascism,” Rumi said of countries outside America that also include Hungary and Brazil. “We are kind of locked in this age of strongmen” as “the first target for them is the media,” Rumi said. “Free press is a direct threat to their authority.” Regarding this country, he added, “even what’s happening here is pretty unprecedented,” with the White House ejecting journalists and calling them names. Journalists bear responsibility, too, for lagging public trust in them and understanding in how they do their jobs, speakers said. In such circumstances, “you really have no allies in this society except elite-minded individuals who really understand the essence of it,” Rumi said. Journalists “are really doing a horrible job of communicating to the public that you need us and we need you.” Journalism schools aren’t helping. They teach students “to be cogs in the machine” to generate page views and not do investigative or deep journalism, Rumi said. Other comments from the event can be found on the @SPJDC Twitter feed and from SPJ DC board member Kenneth Jost. 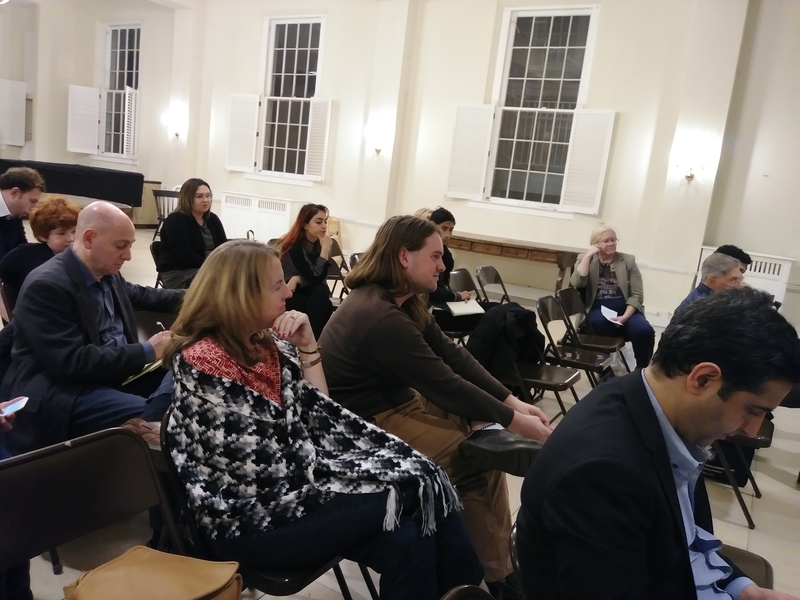 The panel’s moderator was DC Pro member and Foreign Press Liaison Committee co-Chair Selma Khenissi, recently of The Georgetowner newspaper. The event was held at St. John’s Episcopal Church in the Georgetown neighborhood.